Zambia’s kwacha fell the most on record after Moody’s Investors Service cut the credit rating of Africa’s second-biggest copper producer, a move the government rejected and told investors to ignore…..
Zambia’s economy faces “a perfect storm” of plunging prices for the copper it relies on for 70 percent of export earnings at the same time as its worst power shortage, Ronak Gopaldas, a credit risk analyst at Rand Merchant Bank in Johannesburg, said by phone. Growth will slow to 3.4 percent in 2015, missing the government’s revised target of 5 percent, Barclays Plc said in a note last week. That would be the most sluggish pace since 2001. The looming debt crisis will hit Zambia and other commodity exporters hard. As I noted two years ago, the vast majority of the African countries that have floated dollar-denominated bonds are heavily dependent on commodity exports. Many of them are already experiencing fiscal blues on account of the global commodity slump (see for example Angola, Zambia and Ghana). This will probably get worse. And the double whammy of plummeting currencies and reduced commodity exports will increase the real cost of external debt (on top of fueling domestic inflation). I do not envy African central bankers. Making sure that the looming debt crises do not result in a disastrous retrenchment of the state in Africa, like happened in the 1980s and 1990s, is perhaps the biggest development challenge of our time. Too bad all the attention within the development community is focused elsewhere. What makes some countries urbanize without industrializing? …. Kuwait, Gabon, Saudi Arabia, Libya, Algeria, Angola and Nigeria are as urbanized as Uruguay, Taiwan, South Korea, Mexico, Malaysia, South Africa and China respectively, and yet the former countries have not industrialized to the same extent as the latter. This raises several questions. Where do the cities in Angola, Nigeria, and the others come from? Why have so many cities in today’s developing world never been factory cities, in stark contrast to the historical experience of today’s developed countries? If these cities have a different origin, does it matter for economic development? We show that conditional on income per capita, urbanization rates are unrelated to the share of resource exports in GDP or the share of manufacturing and services in GDP. Urbanization is a function of income per capita across all countries. However, the composition of urban employment differs starkly between resource-exporters and non-exporters, holding constant income levels and urbanization rates. We use IPUMS census micro-data, labor force surveys, and household survey data to recreate the sectoral composition of urban areas for a sub-sample of 88 countries. Using this novel data set, we find that cities in resource-exporting countries are what we term “consumption cities”, with a larger fraction of workers in non-tradable services such as commerce and transportation or personal and government services.1 Cities in countries that do not export significant resources, on the other hand, appear to be “production cities”, with more workers in industrial sectors such as manufacturing or in tradable services like finance. That is Douglas Gollin and co-authors in a working paper on urbanization with and without industrialization. The authors also find that ceteris paribus “consumption cities” also tend to be marked by higher rates of poverty and greater shares of populations living in slums. In short, and to paraphrase the authors, consumption cities of resource exporters are not as welfare-improving as production cities of non-exporters. This should worry policymakers across the Continent. Africa is urbanizing fast (see image), but without the benefits of mass job creation. Indeed UN Habitat’s 2014 State of African Cities report warns that urbanization in Africa lacks the potential “to deliver on the aspirations of broad based human development and prosperity for all.” The continent’s “consumption cities” will have significant impact on state economies. Increased imports of consumer goods (and food) will put pressure on currencies, with inflationary consequences (Africa imports $81b worth of agricultural produce annually). Tending to the urban sector will likely lead to further taxation of the rural sector a la Bates. That said, demography might provide a way out. Africa’s population is also expected to balloon over the next five decades. That might just create big enough domestic markets to make it worthwhile for firms to consider locating their manufacturing bases on the continent. Increases in labor costs in east Asia are therefore a welcome trend. 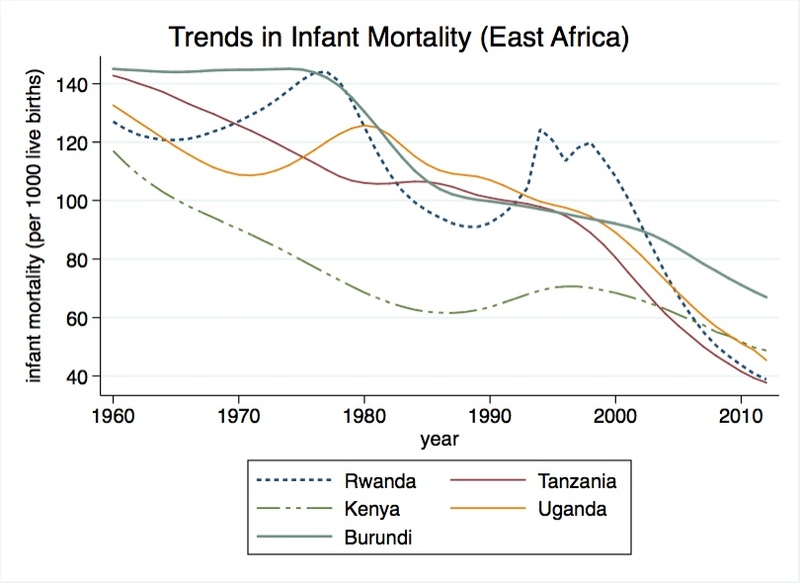 And as my adviser likes to remind me, the trend was started by Somalia in 1967. To explain these country’s divergent development, I point to earlier authoritarian strategies to consolidate support and maintain power. 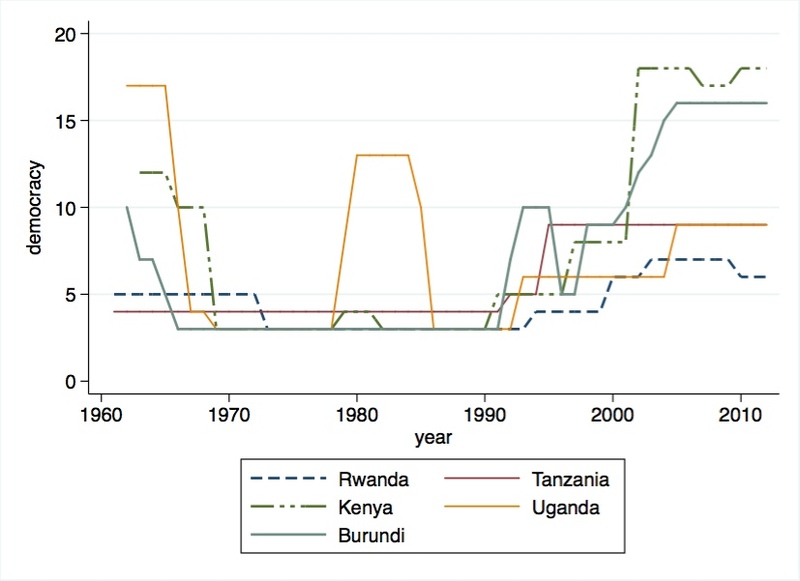 The initial stages of democratic opening provide an opportunity for authoritarian incumbents to attempt to shape the rules of the new multiparty system in their own interests, but their power to do so depends on the extent of local support built up over time. Where authoritarian incumbents are strong, they tightly control the democratic transition process, which paradoxically leads to higher party system institutionalization in the new democratic system. Conversely, where authoritarian incumbents are weak, they lose control of the transition agenda and new players contribute in uncoordinated ways to press for greater reform and more open participation, which results in lower party system institutionalization in the democratic era. The particular form of the party system that emerges from the democratic transition is sustained over time through isomorphic competitive pressures embodied in the new rules of the game, the forms of party organization, and the competitive strategies that shape party and voter behavior alike. The book is an excellent resource for understanding the evolution of party systems on the Continent. Implied in the book’s argument is the centrality of state capacity to well-ordered development and consolidation of democracy. As the case of Mali shows, if there was ever a precondition for democracy it is certainly a reasonable level of state capacity. In other words, there has to be empowerment before limitation, or else you get collapse. “Hello, my name is Mr. Development Man. I know Africa so much!! I went there one summer and stayed with an NGO. I talked to my servant cook who served me food, so I know African workers. I read a few books written by white Americans about Africa, and remembered their big words. So I know African ideology. African prostitutes talked to me at my hotel poolside, so I know about relationships in Africa. I took pictures of kids at the orphanage, so I know how Africans suffer. I have a sense that Mr. Development Man’s note is directed at both development practitioners and academics alike. Let us all take heed. Chad, who is into short stories and is also a late night radio DJ, wrote this Letter to Mr development man on the dynamics of the love-hate relationship between donors and aid recipients. The Nigerien military, led by Salou Djibo, has handed over power to democratically elected President Mahamadou Issoufou. The military ousted strongman Mamadou Tandja 14 months ago after he attempted to extend his rule beyond the term limit. 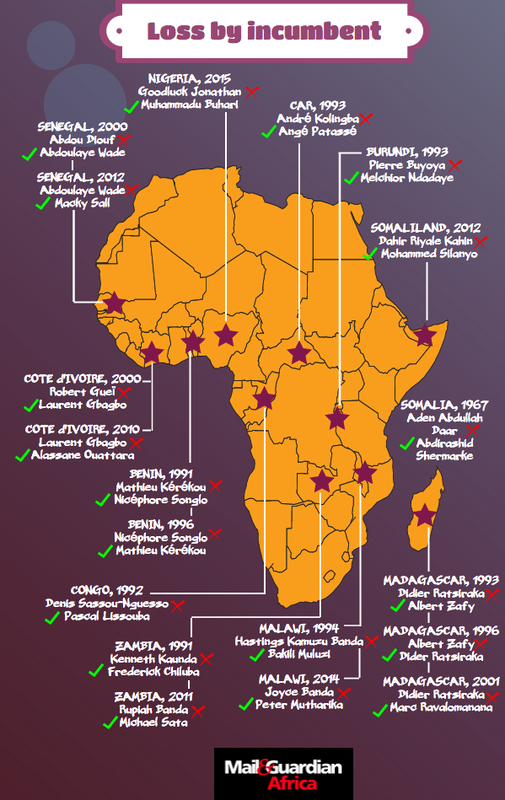 Twice now, the last time being in 1999, the Nigerien military has intervened in politics in support of democracy. The new president has promised to tackle poverty and famine in the uranium-rich country. Former president Tandja had been in power since 1999. In late 2009 he was supposed to leave office at the end of his two terms but amended the constitution in a sham referendum allowing him to stay on for a third term. This forced the military to step in. Mr. Tandja’s presidency did not do much for Niger’s 15 million odd citizens. 63% of them continue to live on less than a dollar a day.